School nutrition programs across the country face increasing challenges in order to deliver tasty, nutritious, and cost-effective meals. That being said, there are opportunities to help increase the level (and quantity) of service despite all the fiscal, regulatory, and day-to-day challenges. When you break school lunch service down, there are five important factors that a school nutrition program should consider that can help lead to a more successful school cafeteria service. More than just about anything else, successful school lunch service is predicated on quality and variety. Simply said, students will buy lunch if they like what’s being served, and as all school nutrition directors know, students who participate in lunch service are what make the program work. Students who like the lunches, who find the meals to be tasty and pleasurable, are more likely to buy those lunches. No matter what happens with regulations, school nutrition directors will always try to serve food that’s as nutritious as possible. First of all, it’s the right thing to do for our students, but second, we never know what future regulations will entail. That being said, it’s important to serve healthier meal options in the present. As we become more diverse, food variety will also be important. When a school district considers serving Latin foods such as a taco bar or adds Asian menu items, they will be more likely to attract participating students as a result. If nutrition directors are aware of the changing demographics in their districts, they can serve foods that appeal to those demographics. The fact is, today’s student population has a greater knowledge of food than maybe all other generations combined. They also dine out more than any other past generation. For school nutrition directors, this translates to an opportunity. If school cafeterias create serving stations that resemble fast casual restaurant settings or if they create visually appealing cafeteria designs that express school spirit, it’s proven that more students will participate in lunch. One of the biggest issues with school lunch service is the amount of time it takes to serve those lunches and have students eat them. The reality is schools sometimes only have a half an hour to serve an entire lunchroom of students, and this amount of time includes the time students have to eat those lunches. As a result, it’s important to increase efficiency of service. 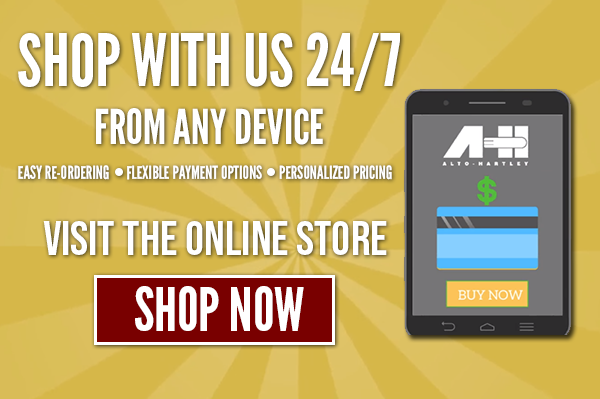 Did you know the Alto-Hartley Online Store is now open? School nutrition directors can now search and purchase equipment that will help increase student participation and enhance operational efficiencies.